Hi babes... I took this photos last Sunday... and since then I wanted to post this here.. but just now manage to have some free time, very busy woman AHAHAH. I am a big fan of swimsuit... I think I am the only one here... but I think it look so much sexier on tall girls like me, I know is not so good to get tan, but we can use sometime. 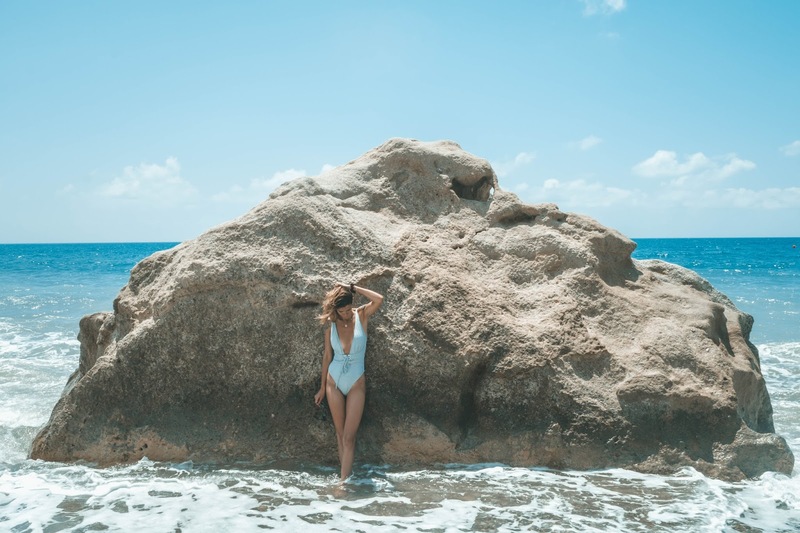 Another good thing of swimsuits, is that it can be used as bodysuit, so is the perfect piece to take on holidays. I was very surprised with the quality of the material... super good and thick... and the back as you see is not "gramma" style, but is not so reveal, so it's perfect. This paradise beach is in Pissouri... I love that place... and after you can go for a cocktail on Panaroma lounge, like we did, and you can enjoy an amazing view. These pictures are amazing, I truly loved the way this swimsuit looks on you! Esse fato de banho é lindo, amei as fotos.